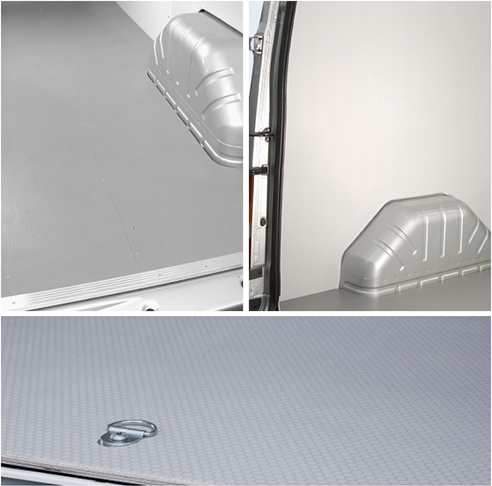 Flooring, linings and partitions are all important parts of your service vehicle. Not only because they give your vehicle a more professional look, but also because they make it a safer installation. Linings create a bright and pleasant working environment and all of the materials used are easy to wipe clean. The flooring has an anti-slip surface and can be ordered cut to size for all current vehicle models. Copyright © 2019 Custom Vehicle Solutions | Modul-System Installed By Modul-System NI. All Rights Reserved.